Looking for employees and agents or seeking brands to represent and new job opportunities within the sports, outdoor and leisure trade industry? 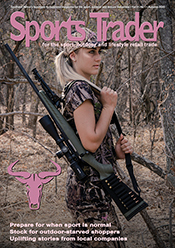 Contact nicol@sportstrader.co.za to advertise in our online newsletter and on the website. PCF Integrated Communications, with over 20 years of experience, is an integrated strategic branding, marketing and PR agency servicing wholesale and retail industries nationally. Specialising in lifestyle, decor and fashion, we have launched and worked with major well known international and local reputable brands over the years. We work closely with our clients to access their needs and assist in implementing our proposed strategies. Tenth Sports is looking for a reliable and hardworking sales representative for sports products. Basic Salary: R6 000 plus commission. Must have basic knowledge, and preferably experience, in the sports industry. It is a Johannesburg-based position. Must have own transport and proof of educational level reached compulsory. For more information and to apply contact Tenth Sports via telephone 011 440 0348/073 338 3355 or alternatively email sales@tenthsports.co.za. Awesome Tools are looking for a Marketing Assistant who will report to the Managing Director. The successful applicant should have a post graduate degree in marketing and be based in the Cape Town/Stellenbosch area. Please send CV to woody@awesometools.co.za.